If you have children then you will know how much they love new experiences, and coming face-to-face with an elk, even at a distance, will surely be one of the best. The delightful town of Estes Park is just a short drive from the city of Denver, which is an ideal place to fly into if you are considering visiting this part of the U.S. It is served by a large number of airlines and has excellent facilities. There is also easy access to the city, where you will find plenty of places to stay. However if you are coming in on a late flight, you could try the Castle Maine, which is rich in history and extremely friendly. 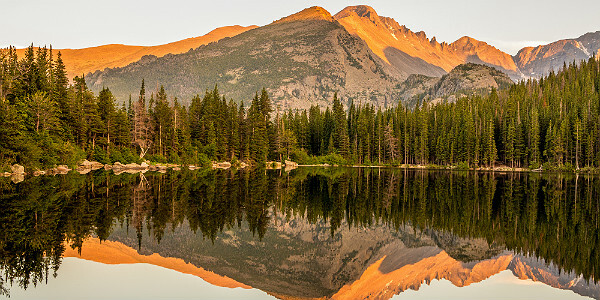 Estes Park itself is a vibrant town, which lies very close to the entrance of the Rockies National Park. The town is unique in the area because it is visited by large numbers of elk. Whilst I was there I was conscious that they were all around me. Late evening and early morning are the best times to see them. You will also hear their calls; known locally as bugling. Estes Park has a wide range of sights close by and several a little further away. Just on the outskirt of town is Stanley Hotel. Over 100 years old, the hotel has a history of haunting and you can arrange for a night tour to experience for yourself the ghostly goings on. Also a short drive from the town is the Rocky Mountain Oprey where you can enjoy a wonderful variety show. A themed event, I enjoyed the Willie Nelson Show. If you are going to explore the National Park, then I would suggest you arrange to take the Old Fall River Road to the Fall River Pass at 11,796 feet above sea level. The mainly gravel road was the first route to offer access to the higher parts of the park. At the top there is a large visitor’s centre which has an excellent shop and all the usual facilities. If you don’t fancy this route then you can take the 36 which is a tarmac road to the top. Bear Lake is another place worth visiting and also very popular. The road has been upgraded recently and last year it is estimated that it catered to over 2 million visitors. The whole area is fantastic and the scenery is just awesome. There are several towns within easy reach of the park. One of my favorites is Fort Collins which has plenty of sights including the Belgian Brewery which produces Fat Tire Beer. The free tour takes in a number of different locations around the brewery and involves plenty of tasting! However make sure you book well in advance. The drive from Estes Park to Fort Collins along the 34 is very attractive and takes in the scenic Devil’s Gulch Road and I can thoroughly recommend this route. The area has plenty of accommodation of varying types from cabins to luxury hotels. 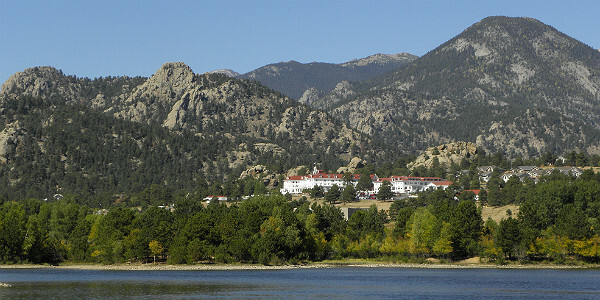 The Rocky Mountain Park Inn in Estes Park is centrally located and ideal as a touring base. It is a good family hotel. If you prefer to stay just outside the area then I can highly recommend The Armstrong at Fort Collins – a boutique hotel that has a great atmosphere and is centrally located close to all the amenities. The staff is very helpful and the rooms are top quality. There are some wonderful places to eat in Estes Park. Try the Big Horn Café and mix with the locals for a wonderful breakfast. Out of town there is the Rocky mountain Inn and Tavern which is always busy and, for that special event, try the famous Stanley Hotel. Fort Collins also has some excellent establishments as well, including The Fish, Enzios and The Silver Grill Café for breakfast. The best place to fly into is Denver as it is just a short ride to the mountains. Hire cars are easy to find and this is probably your best mode of transport if you want to seek out some of the more interesting places to visit. Interstate 87 takes you from south to north and the 34 is your best route from Estes Park to Fort Collins. How To Get There: As stated above, Denver International Airport (DEN) is the ideal airport to fly into when visiting the mountains of Northern Colorado. It is approximately 75 miles to Estes Park, and the airport is serviced by 17 domestic and international airlines, including Frontier Airlines, JetBlue Airways and United Airlines. Information regarding area transportation and car rental information are available here. Best Time To Visit: Denver weather rolls through four distinct seasons annually. December through March tend to be the busiest time for peak ski season. Annual snowfall at some ski resorts gets up to 350 inches annually such as Winter Park Resort. The summer season can be equally popular. June through September reaches warm temperatures, perfect for hiking and white water rafting. The best hotel and activity discounts can be found in April, May, October and November, in between peak summer and winter months.